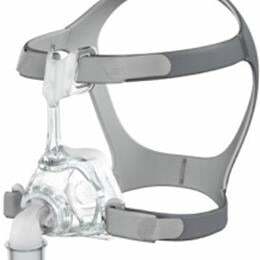 The Mirage™ FX Nasal Mask offers the perfect balance of lightweight comfort, premium performance and simplicity. It weighs just 2.6 ounces and is comprised of only four parts, making it intuitive, quick to set up and simple for patients to clean and reassemble. The standard Mirage™ FX fits a remarkable 90% of patients. However, for patients who require a wider fit, the Mirage™ FX Wide offers more frame and cushion width, a shallower cushion and shorter frame length to comfortably seal against flatter nasal bridges.